Officially licensed Smurfs: the lost village child's costume. NOTE: costume sizing is different from apparel, be sure to review the Rubie's Costume child's size chart before selecting best option for your child. Rubie's is in business and stocking product 12 months a year; a leading innovator in the industry, Rubie's has the broadest product line of any costume Company. Rubie's has more than 2 million square feet of office, development, warehouse, and production space. Products are manufactured all over the world, with approximately 35% of annual sales produced in Rubie's owned us factories. Same family ownership since the beginning in 1950. 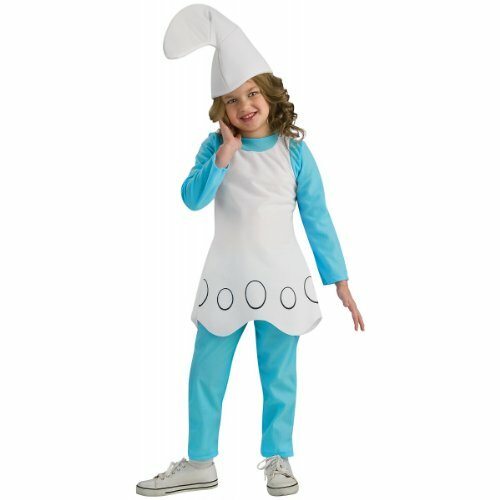 884594S Size: Small (4-6) Features: -The smurfs smurf costume.-Jumpsuit and headpiece.-Small sized costume is suitable for children between the age group of 4-6 years.-Medium sized costume is suitable for children between the age group of 7-8 years.-Large sized costume in suitable for children between the age group of 10-12 years. Options: -Available in small, medium or large size. Dimensions: -Small sized costume has height: 44''-48'' and waist: 25''-26''.-Medium sized costume has height: 50''-54'' and waist: 27''-30''.-Large sized costume has height: 56''-60'' and waist: 31''-34''. 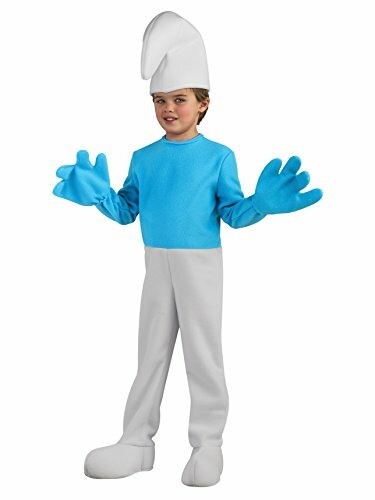 This kids Smurfette costume set includes a top, pants and headpiece. The Smurfette comes in child sizes Small, Large, Medium. This Smurfette is an officially licensed The Smurfs costume. 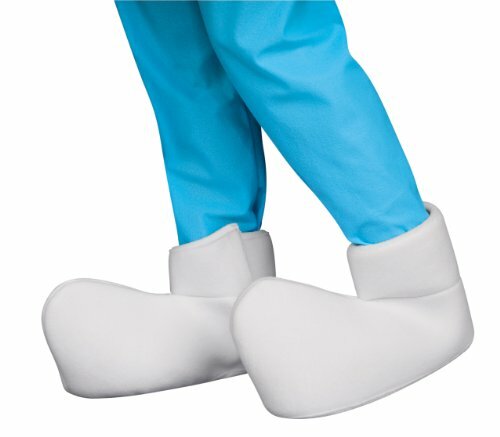 The shoes are not included with this kids Smurfette costume set. Please note: This item's color may vary due to inherent manufacturing variations or your computer monitor's color settings. The item you receive will be identical or substantially similar to the item pictured in this listing. Officially licensed Smurfs: the lost village costume accessory. Rubie's is in business and stocking product 12 months a year; a leading innovator in the industry, Rubie's has the broadest product line of any costume Company. Rubie's has more than 2 million square feet of office, development, warehouse, and production space. Products are manufactured all over the world, with approximately 35% of annual sales produced in Rubie's owned us factories. Same family ownership since the beginning in 1950.